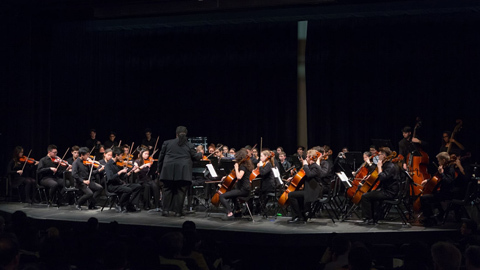 In 2013, 2 local youth orchestras with over 70 years combined history joined to become what is now the OSYO with the goal to become the premier youth orchestra in our area. Over the years we have inspired over 6,000 young musicians to achieve excellence through a love of music, while also helping them hone their self-esteem, discipline, teamwork, leadership and performance skills. As well as touring internationally, the orchestra has won numerous awards, including Gold at Canada's National Music Festival. With 2 string orchestras as well as the full symphony you will see perform at this festival, we have over 110 musicians from diverse backgrounds in 3 separate orchestras, ranging in age from 8-20 years. 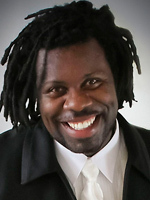 A recipient of the Clifford Evans Award for Conducting, Colin Clarke’s credits include collaboration with world-renowned artists and ensembles including the United States Air Force Band of Liberty in Boston, Massachusetts, Orchestra London Canada, the New Symphony Orchestra of Sofia, Bulgaria, the Toronto Mendelssohn Choir, Ballet Jörgen, trumpet virtuoso Allan Vizzutti, TorQ Percussion Quartet, the Canadian Brass and the U.S. Army Herald Trumpets, the official fanfare ensemble for the President of the United States. Colin is best known for his work with the multi-award winning Toronto Youth Wind Orchestra (www.tywo.ca), a group he started as a high school student. For over two decades this ensemble has earned a reputation nationwide as one of the leading performance ensembles of its kind in Canada. Under Colin’s baton, the Wind Orchestra made its Carnegie Hall debut in 2006, and returned in 2016 for another performance at New York's famed concert hall to mark the organization’s 25th anniversary. With a passion for music education and outreach, Colin maintains a commitment to working with young people and the community. He has conducted numerous bands, orchestras and choirs throughout Canada and the U.S., and has led the Provincial Honour Bands of Alberta, Manitoba, Ontario, Quebec and Prince Edward Island. In the spring of 2008 he served as conductor of the prestigious National Youth Band of Canada. Abroad, Colin has lead performances in the United States, Eastern Europe, the United Kingdom and China.